This Friday evening, June 8 at 8:00 Bargemusic’s weekend begins with a performance of works by Schumann and Beethoven by pianist Martin Helmchen. 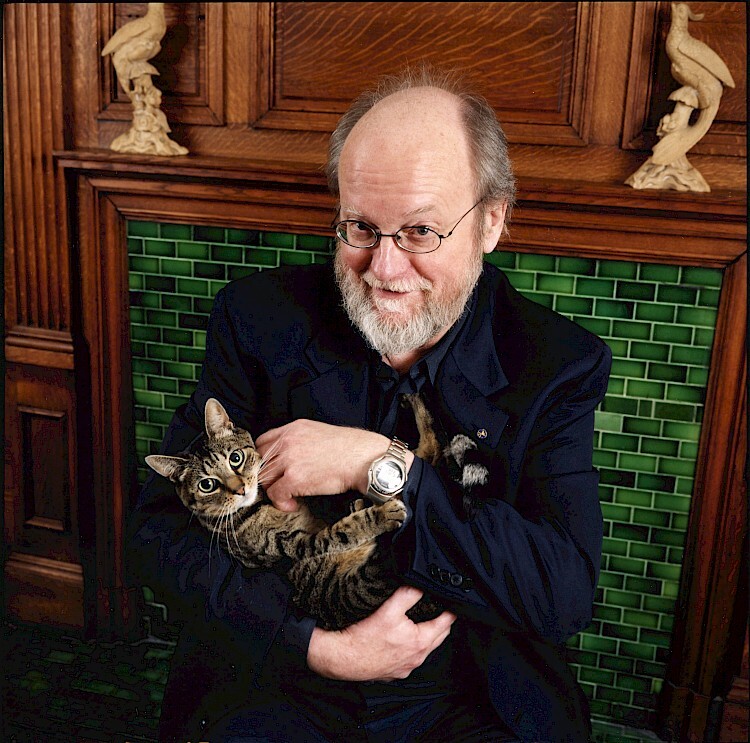 On Saturday evening, June 9 at 8:00 there will be a tribute to the composer Charles Wuorinen (photo, with his cat Lepton, by Nina Roberts) on the occasion of his eightieth birthday, with a performance by soprano Mary Mackenzie and pianist Steven Beck of Wuorinen’s works, along with those of Schoenberg, and Liszt. On Sunday afternoon, June 10 at 4:00, the Apollo Trio will perform works by Mozart and Korngold. There are details for each concert and you may buy tickets here.